Clary Fray is a teenage girl with normal teenage problems-or so she thinks. One evening, in a dance club, she witnesses a murder-and her entire reality becomes a lie. Living right beside her, her entire life, have been supernatural beings threatening to war against one another. The disappearance of her mother, followed by an encounter with a horrible monster in her own apartment draw her in to a world unlike anything she has ever known. 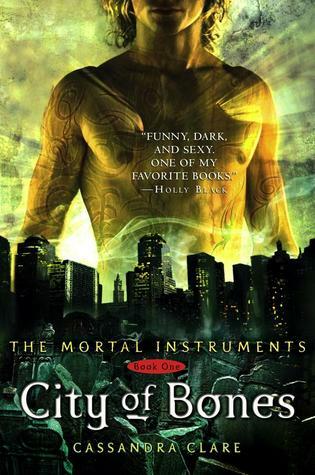 This Young Adult/Teen novel is the first novel of The Mortal Instruments series by Cassandra Clare. Clary befriends The Shadowhunters in an alliance to find her mother and bring balance back to the universe, fighting against a grave enemy that is connected to her in a way she would never imagine. If you love this series, be sure to check out her Infernal Devices series, which is set in the same fantasy world.